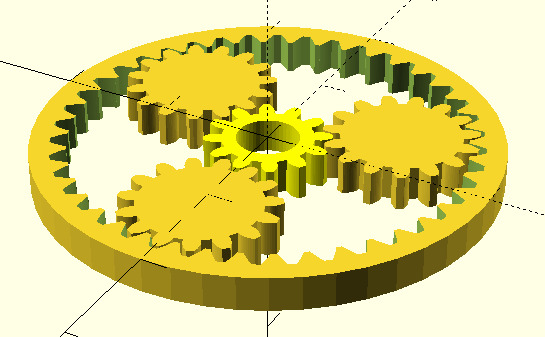 I love fiddling in OpenSCAD. Writing code AND getting a graphical result instead of working on my thesis? I can do it any time (don’t tell my supervisor). 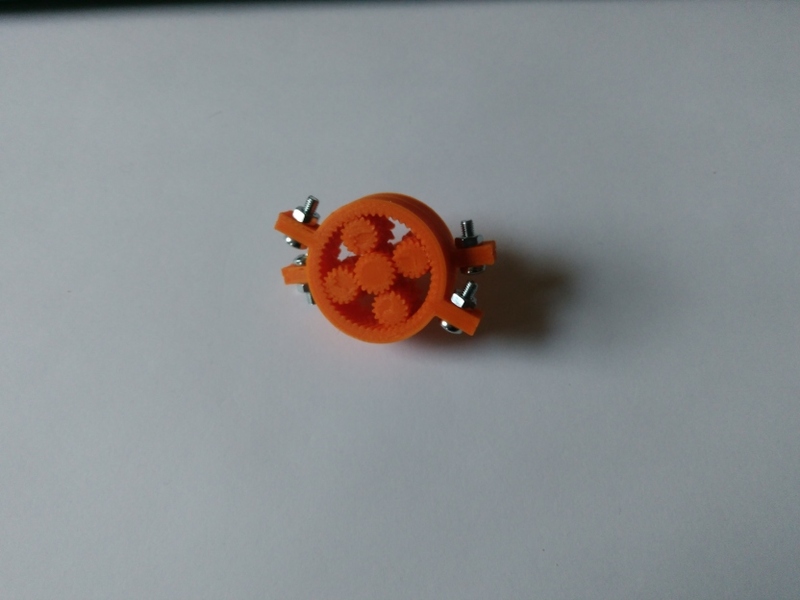 So the idea is to create a simple planetary gearbox, with a small, tiny ratio of… I dunno, 1:50? 1:100? 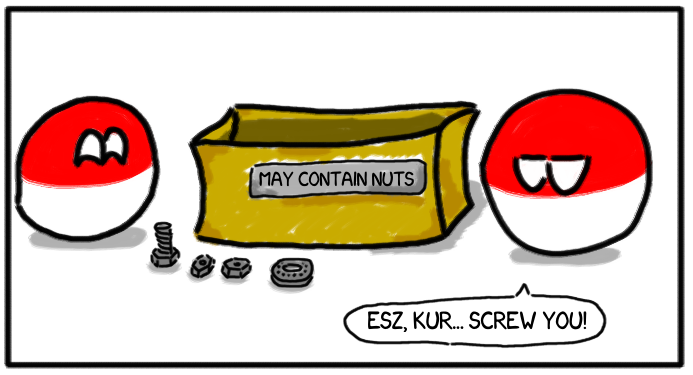 Oh, and I hate screws, make that without bearings and as few screws and nuts as possible (but not none, I want to slap a sign “May contain nuts” on it later on). 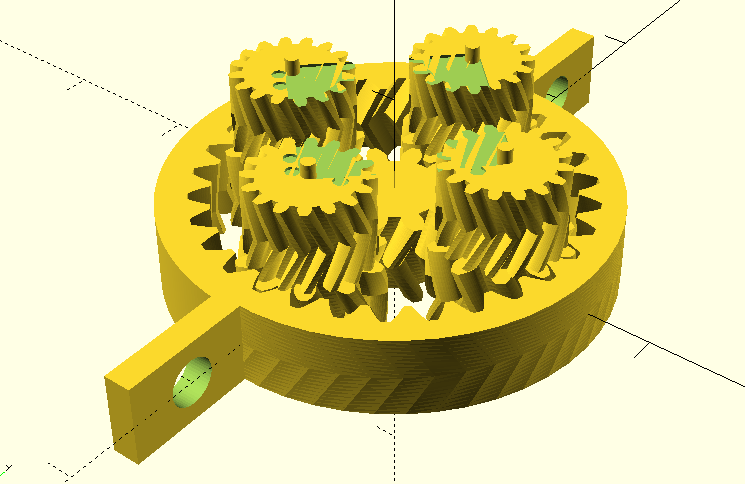 So first – is there a planetary gearbox on Thingiverse? 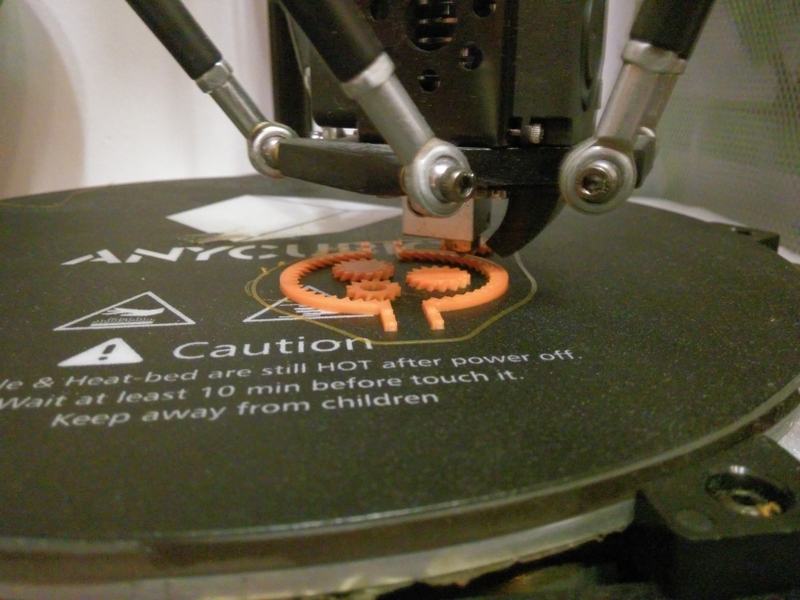 And most important – …OpenSCAD? 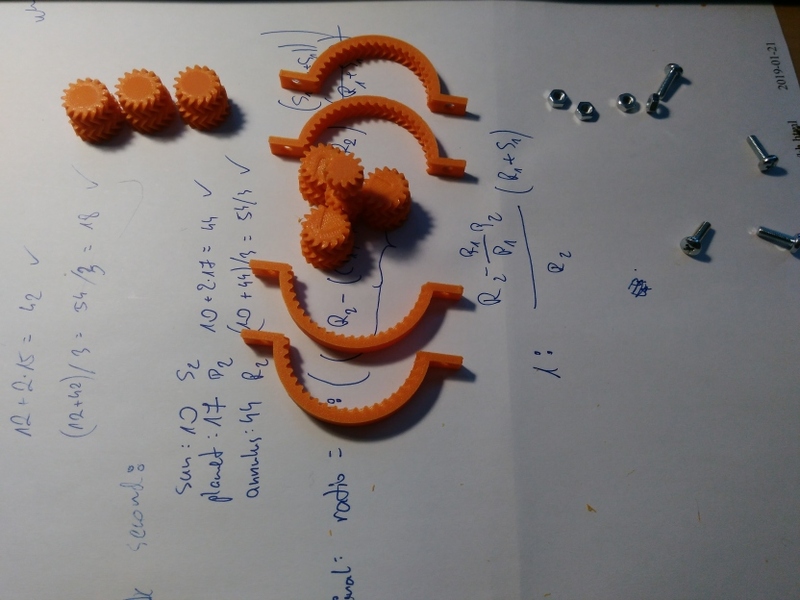 Parametric Epicyclic Gearbox. Helical Support. Ok, there is. 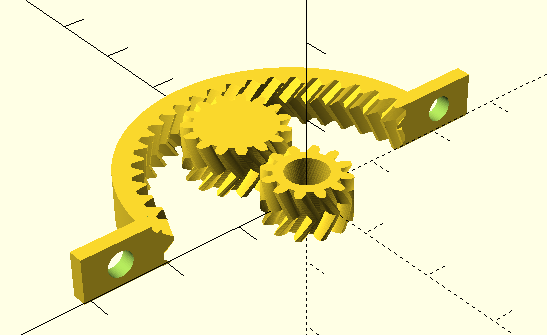 Even with helical gears, but I want to have total control over the process. So maybe I’ll start with the flat ones? Either way, I need to modify it a lot to get a screwless version. 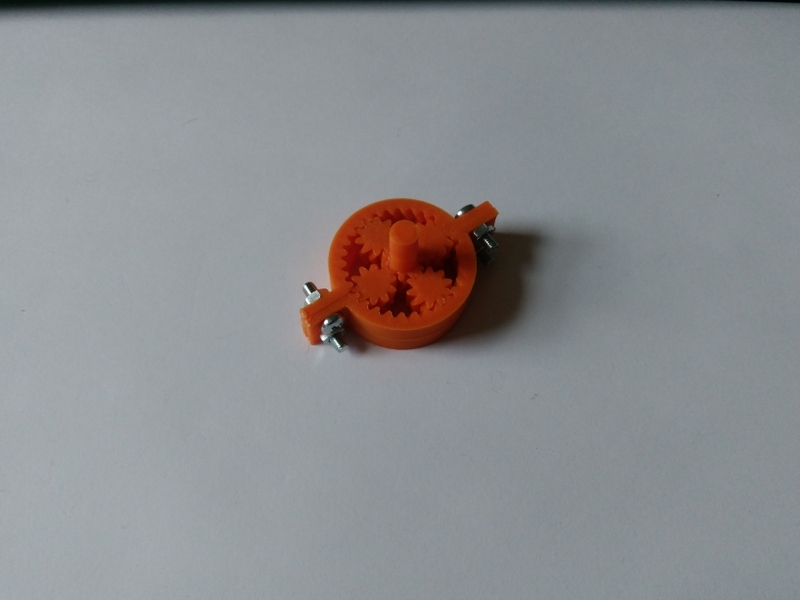 The next sketch is not that great – I tried making and actual compound planetary gearbox by putting just one gear on top of each other and calling it a day, but it turns out the three planets ARE NOT IDENTICAL. Each is unique and all three should be printed. So it may seem like the following movie is acceptable but in reality the gearbox is losing a step every now and then. The gear ratio is around 1:50 if I remember correctly. It’s working! It’s flimsy, doesn’t take too much load, easily falls out, is too loose (I could shave about 0.3mm off the tolerances), but it works! Movie where I put it to the test with an electric drill – soon.